I've seen lots of material online and from my daughter's school about how to respond to cyberbullying. But if I can prevent it from happening in the first place, that's even better. All parents should know the top 10 ways we can prevent cyberbullying. Let them know it's okay to confide in you. Kids need to know that they can tell you anything – good or bad – and you won't over react. Practice parental monitoring. 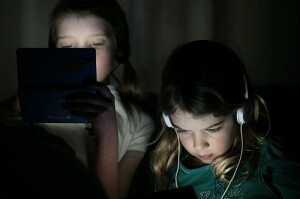 Know where and when kids are going online, so you can avoid potential trouble. Limit screen time. Maximize your child's time with real-life friends and family members instead. Watch their friends list. Know who is on your child's social networking buddy list and how they know each person. Are they really friends with each of these people? Know what's going on at school. Cyberbullying rarely happens in a vacuum. It usually happens in combination with in-person bullying at school. Establish rapport with your child's teachers, principals, and guidance counselor. Teach kids never to give out their passwords. Unauthorized people who can access your child's accounts can do major damage. Share personal information in person, not online. Teach kids never to post personal information that can be used to identify them or tell bullies how to contact them in other ways (i.e: phone numbers, email addresses, etc.) Texts or posts can be forwarded to others without your permission. Teach kids how to block and report cyberbullies. Familiarize yourself (and your children) with the “block” feature on the various social networks they use, and learn how to report someone who harasses them online. Teach them to ignore cyberbullying. Kids should never, ever respond to a cyberbully, especially trying to retaliate by doing something similar. Becoming a cyberbully will not solve your child's problem. Cyberbullying is front-page news almost every week. 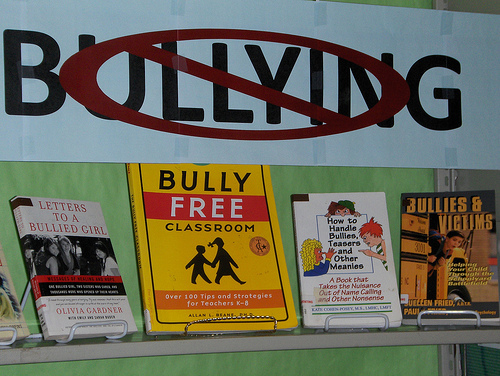 School groups and celebrities have taken up the anti-bullying crusade, but that's not enough. It has to start with education from us parents, and preventing cyberbullying before it starts is the best way to take a stand.